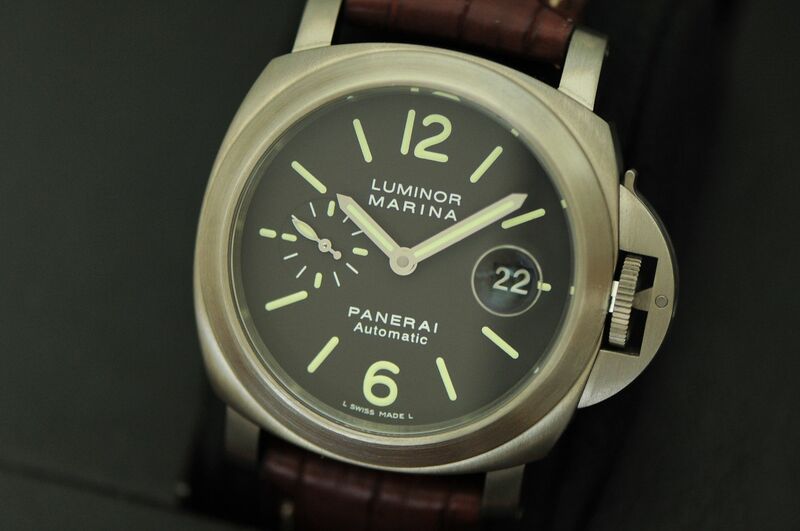 Up for your consideration is a Panerai Pam 240 Luminor Automatic Titanium/Tobacco Dial 44mm. This is a 'J' serial piece and it is in absolutely perfect collector kept LNIB condition with almost no signs of wear. The OEM brown croc and deployant remain unworn. It is a full set and comes triple boxed and complete with everything as it should. These seldom come up for sale. A rare find priced at $5,650.00 shipped and insured in the CONUS. Certain trades will be considered. More pictures as well as tons of worldwide references available upon request. Please email me directly or call me to discuss or with any questions or specific requests you may have. Thank you.